Now Available: A Special 90th Anniversary Edition! a new bibliography and expanded index. a 32-page photo section includes new maps & charts. Verdict of History: a compilation of explorers, historians, geographers, authors and researchers on Cook from 1909 to 2000. "Cook must be considered an extraordinary personality in Polar history...he was a Bonaparte on the ice to his rival..."
Raimund Goerler, Archivist of the Byrd Polar Research Center and author of "To the Pole." "This book--in which Cook explained his accomplishment-- will no doubt rekindle the embers of the 90-year-old Cook-Peary controversy." Learn more about the release of this special edition! The introduction to this Anniversary Edition of To the Top of the Continent calls it a "classic mountaineering book" by an author who may be the most controversial figure in the history of modern exploration, Frederick Albert Cook, M.D. (1865-1940). In 1903 Dr. Cook was the first to circumnavigate the highest peak in North America, Mount McKinley, a feat which was not repeated for 75 years. He explored and named the largest glacier on the continent after his youngest daughter, Ruth. In 1906 he led a second expedition to McKinley and announced that he and Edward Barrill had ascended the east ridge and reached the summit in September. 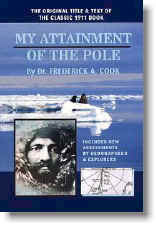 Three years later Cook returned from the Arctic and announced that he had reached the North Pole in April of 1908. Cook's claim to the McKinley climb had not been challenged until the great North Pole Controversy, and are thus entwined in the annals of bitter contention in the history of exploration and discovery. 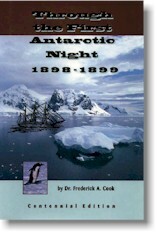 This 90th Anniversary Edition includes an interpretive analysis of Cook's expeditions by the leader of the 1994 party which followed his route. It also contains a transcription of the Cook and Barrill 1906 diaries with a historical account. In the closing years of the nineteenth century, a little-known expedition sailed from Belgium with the first truly multi-national group of officers, scientists and crew. The "Belgica" was to spend an unintended Polar night deep below the Antarctic Circle. Locked in the ice of the Bellingshausen Sea for over a year, the ship would become a virtual laboratory of human endurance for its 19-member crew. 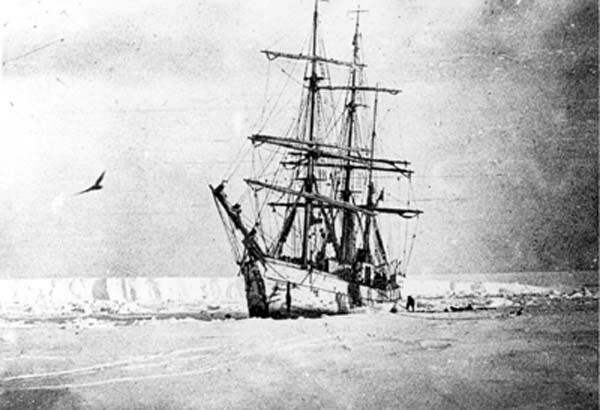 The dramatic emergence of two explorers on this expedition would lead both to internationally acclaimed expeditions a few years later--Frederick A. Cook as the first to claim discovery of the North Pole in 1908, and Roald Amundsen as discoverer of the South Pole in 1911. In the Centennial Edition of this classic book of the expedition, the story is brought to a wider audience. Exceptional photography--pioneered by Cook who served as expedition surgeon--provided an insight into this experience,and this edition combines these original Antarctic images with contemporary color photographs of the same regions explored by the "Belgica." Two highly-regarded polar historians--Prof. Susan Barr of Norway and Prof. T.H. Baughman of the U.S.A.--have new contributions to give this historic event its rightful place in our modern era of understanding the Antarctic. 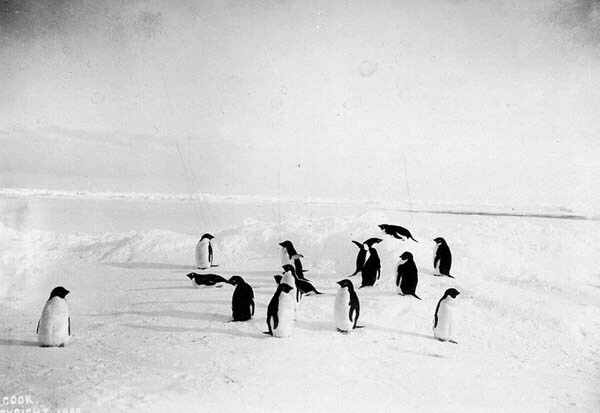 The Frederick A. Cook society has made available its extensive collection of polar photographs through the Byrd Polar Research Center at the Ohio State Universtiy. To inquire about the collection and to purchase photo reproductions, contact Laura Kissel, the Polar Curator, at 614-688-8173 or by e-mail at kissel.4@osu.edu. > Learn more about the collection and see more sample photos. 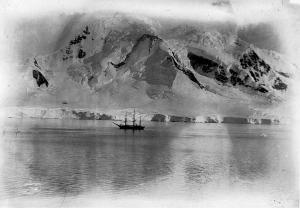 Cook took these photos in the Antarctic late 1897 and during 1898 when the Belgica was locked in ice in the Bellinghausen Sea. Available through the Cook Society for $13.25 for non-members, $8.25 member price. 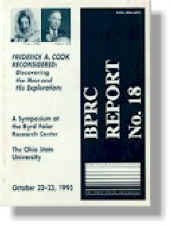 In October, 1993 an international symposium with polar researchers, scholars and field explorers gathered at the Byrd Polar Research Center on the campus of The Ohio State University to discuss the life and work of the man who may be this century's most controversial explorer: Frederick Albert Cook (1865-1940). Ten professional papers were presented at the two-day gathering held in the sir Hubert George Wilkins Lecture Hall of the Byrd Center. Such prominent field explorers and research scientists as Wally Herbert, Jean Malaurie, Joseph O. Fletcher and Brian Shoemaker were among scholars from five nations, representing various disciplines. A unique perspective of the North American Inuit, or Polar Eskimo, was offered through presentations from a Danish anthropologist and also a historian and writer of the Inuit. 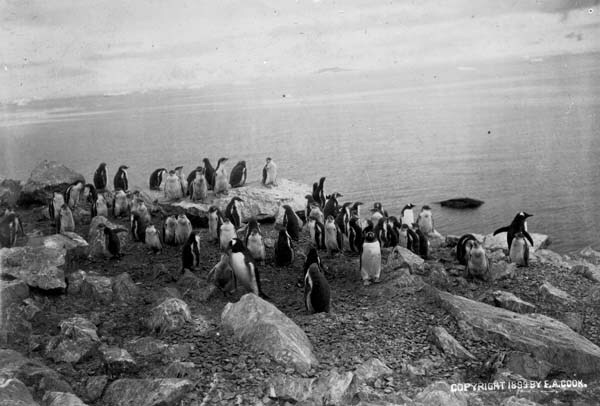 They gave that view of the key Inuit participants in the Cook expeditions and that of his rival, Edwin Peary (1856-1920). 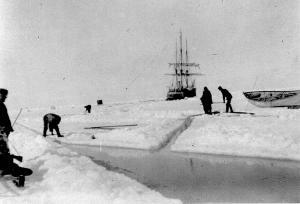 New postulations on the disputed Arctic Ocean journey of Cook to the North Pole in early 1908 were offered, including data on the Arctic Ocean currents assembled in recent decades, and related to Cook's original observations. The first commander of the famed "ice island" laboratories and the Navy captain who closed that research presented their work in a historical perspective for the first time at a gathering of Arctic experts. Dissenting views were made, including Herbert, leader of the first Trans-Arctic crossing in 1968 and the world's leading classic dog sled explorer. The ten presentations and a concluding exchange among the symposium participants form the Anthology, which will include standard reference citations and bibliographies. This volume has extensive photographs, maps, charts and tables. SAD, cold injuries and much more. Since the earliest times, exploration has been driven by a desire to learn what is beyond one's horizon and to experience the thrill of the search for the unknown. However, all too often these lofty idealistic motives are dominated by more realistic motives driven by the economics of the times, wars, religious fervor, desires for nationalistic expansion and pride, as well as an individual's own drive for fame and fortune. As geographical and technological knowledge expanded through the ages, the scope of exploratory efforts expanded to an enormous degree, reaching into previously unexplored areas. During the Middle Ages, two important historical events significantly contributed to this development, resulting in the discovery of new lands, people, environment and diseases. One event was the Crusades; the other was the fall of the Byzantine Empire and the capture of Constantinople by the Ottoman Empire. Both of these events were responsible for uncovering scurvy, one of the major scourges that plagued exploration for the next four centuries. Physicians have played a prominent role in explorations, especially in the 19th century surge of interest in Arctic exploration. Interestingly, despite the hardships encountered including loss of life, there always seemed to be a ready supply of available and worthy physicians interested in exploration. History is replete with the names of physicians who distinguished themselves by their services. Elisha Kent Kane, Isaac Israel Hayes, Frederick A. Cook, John Richardson and John Rae are among those who made significant contributions to the art and science of polar medicine. Drs. John Ambler, Octave Pierre Pavy and Edward Wilson lost their lives on Polar expeditions. During the 20th century, the Antarctic became the scene of extensive exploration culminating in the attainment of the South Pole by Amundsen and Scott. At this time attention was also directed to mountaineering with the resultant successful attainment of the summits of Mt. Everest and the other Himalayan peaks as well as Mt. McKinley (Denali) in Alaska. This focused attention on the medical problems associated with high altitude mountaineering with a resultant return of valuable physiologic and pathophysiologic knowledge that aided in our understanding and successful treatment of the high altitude medical syndromes. 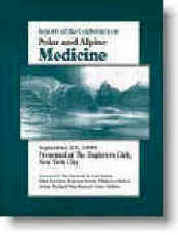 The current proceedings are a record of a series of presentations on Polar and Alpine Medicine made on September 25, 1999 at the Explorer's Club in New York City. They cover an array of topics concerning specialized medical problems encountered under these special circumstances and are presented by a group of physicians who have had unique hands-on, first-hand experience with them.